THIS ONE IS EVEN FUNNIER!!! Being a writer of Fantasy Romances, this list just cracked me up! Sure some hit close to home, but guess that just means I'm not the only one doing it!! 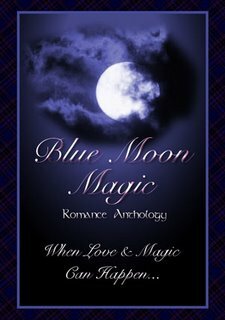 My fantasy short, Ember's Desire, will be published in the Blue Moon Magic anthology by Highland Press!!! It will be available for purchase in May 2006! There are some award winning authors in this anthology and I'm very honored to be a part of it! I'll post more information soon!!! Leave it to me to forget my own contest...Sheesh! Due to the fact I have a newsletter to pen before I can select the winners, I've extended the contest deadline to April 15th. 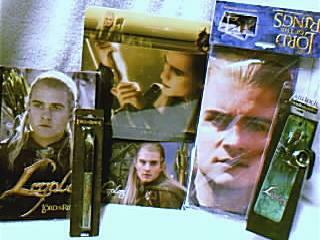 Rush on over to www.meaganhatfield.com for you last chance at Legolas goodies! !